Greetings from sunny Miami! Known for its beaches, nightlife and restaurants, Miami is home to some of the most extraordinary waterfront properties in the world. Often referred to as the ‘Magic City’, it hosts events of international acclaim throughout the year, including Art Basel, Miami Swim Week, the South Beach Food and Wine Festival, International Boat Shows and much more. 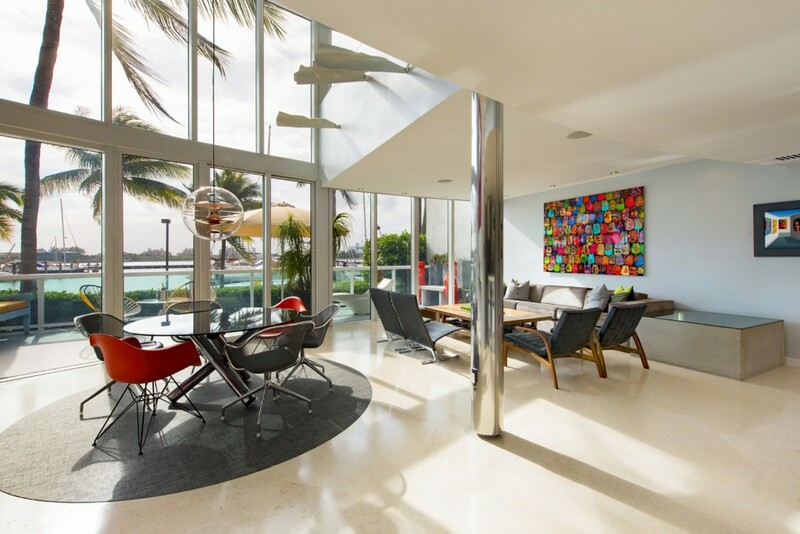 Residents spend days lounging at the beach or poolside at Miami Beach’s historic Art Deco hotels or discovering art at the Perez Art Museum Miami or the bustling Wynwood neighborhood. Another popular summer pastime is picnics on Key Biscayne or at the Miami Beach Botanical Garden. A truly international city, cultures from around the world blend in Miami creating an energetic and exciting lifestyle unlike anywhere else. Here at ONE Sotheby’s International Realty we are at the pulse of the luxury real estate market. 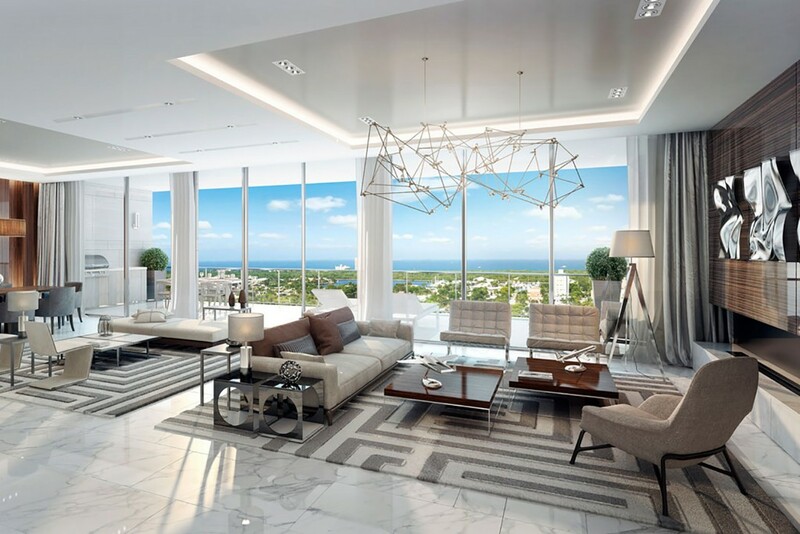 Our exclusive developments include Turnberry Ocean Club, Brickell City Centre, and One Thousand Museum, designed by the late Zaha Hadid, among many others. We’ve put together some of our most extraordinary waterfront properties so you can get a glimpse of what our area has to offer. 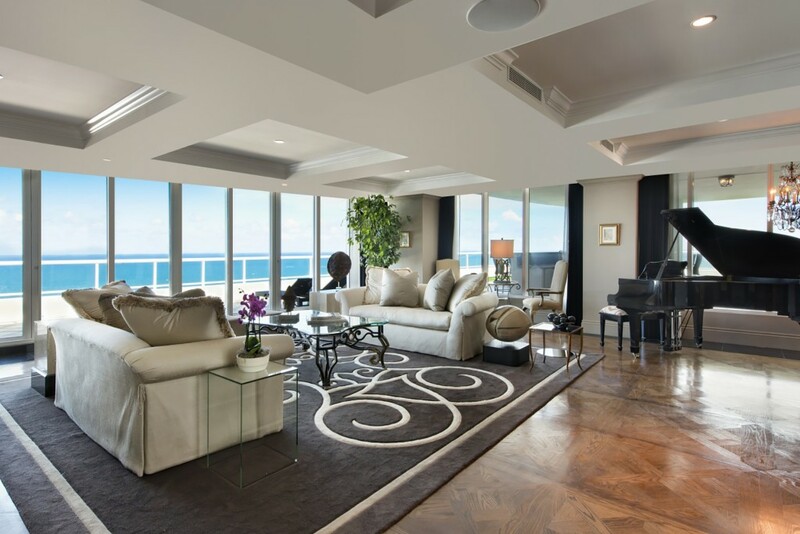 Situated on the 35 th floor of The Continuum Tower, this spectacular corner unit with 3,030 sq. ft. of interior living space opens up to direct ocean views. It also comes with a private cabana and 5 parking spaces, which is very rare in Miami Beach. Listing price $12,900,00. 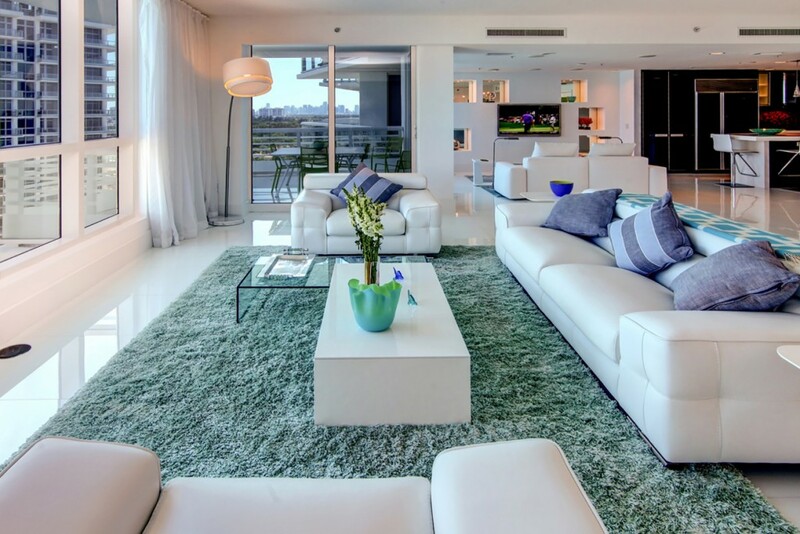 South of Fifth is Miami Beach’s most sought after neighborhood right now and this modern townhome is located right in the heart of it. Step out of your door and walk just minutes to superb restaurants, the beach or South Pointe Park, a great spot for a summer picnic. Listing price $6,395,000. The ultimate beach pad. With 2,542 sq. ft. of interior living space and four separate balconies, this condo at the Mosaic Tower in Mid Beach is the perfect place to escape when you want to relax. Listing price $3,900,000. A 15-story luxury tower on the river, Riva is a ONE SIR exclusive development just north of Miami in Fort Lauderdale. Each one of its 90 residences will offer the best waterfront and city views, with incredible floor-to- ceiling windows and private balconies. This one-of- a-kind unit offers all the luxuries of living in a 5-star hotel. Its impressive features include an oversized outdoor terrace complete with summer kitchen, a wine room and a custom theater.